Full Porcelain Crowns, Bridges and Feelings – it is a healthy bio-compatible way to restore broken or missing teeth by a natural looking long-lasting permanent restorations. What are Dental and Tooth Bridges? 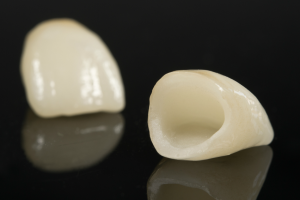 How do Porcelain Crowns Work? A crown is used to entirely cover or “cap” a damaged tooth. 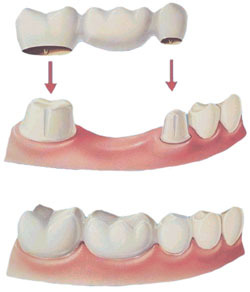 Besides strengthening a damaged tooth, a crown can be used to improve its appearance, shape or alignment. A crown can also be placed on top of an implant to provide a tooth-like shape and structure for function. Porcelain or ceramic crowns can be matched to the color of your natural teeth. How are Porcelain Crowns and Bridges Made? How Long do Porcelain Crowns and Bridges Last?